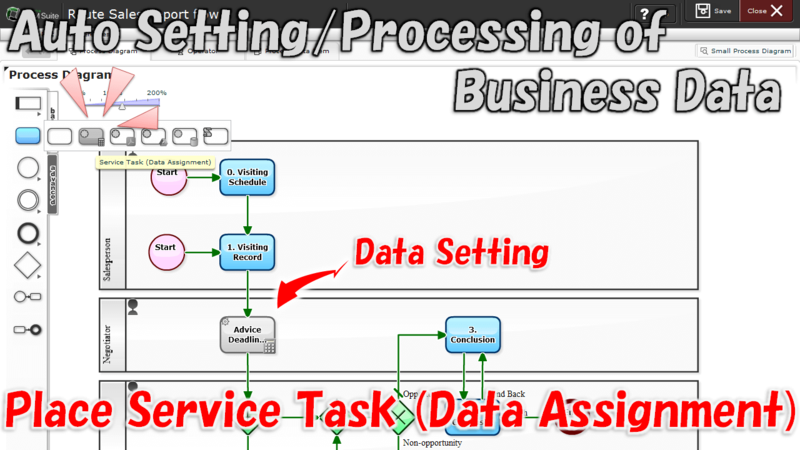 By placing [Service Task (Data Assignment)] in the middle of a Workflow, you can overwrite Business data upon each Issue passing the Step. You can achieve an automatic set of "current time (Time of passing)" or set of 'Tax price" which has referred to "Price excluding Tax" that entered at upstream Step. To set the date of three days later from "document delivery date" which has been entered in the upstream process, as the "deadline"
Automatically generates a string in accordance with the naming convention and set it as "invoice ID"
2016-09-20 (Approval Request flow - Record to Spreadsheet): Episode 501: You Don't Know the Spending of Budget? 2016-02-29 (Attendance Report flow): Episode 472: Detect Signs of Flu in Business System? 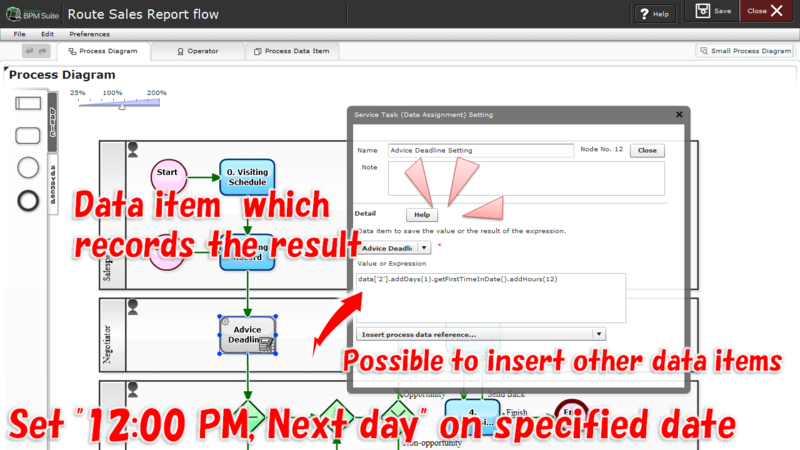 2016-01-12 (Attendance Report flow): Episode 465: Attendance Management in Cloud-based Workflow!